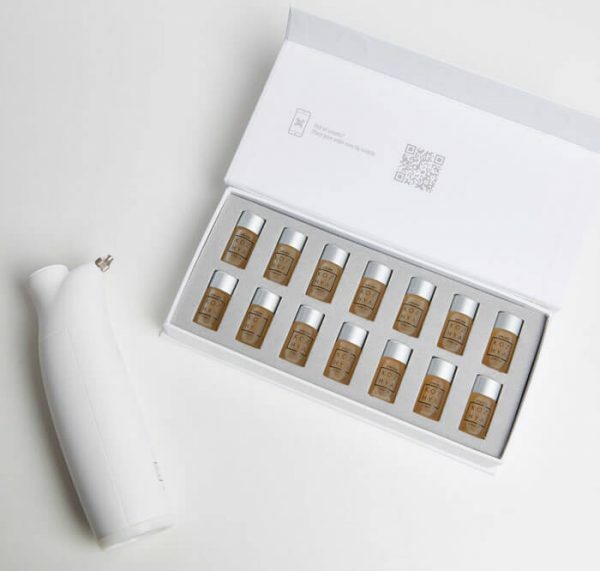 Professional skin care backed by science. 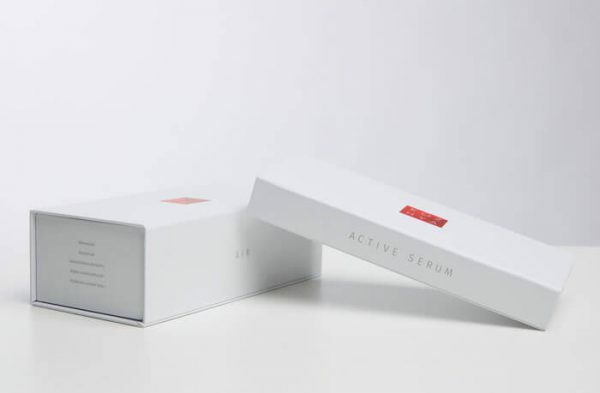 Includes Kozhya Serum (14 day treatment) with active ingredients that easily absorbed by the skin. Includes Kozhya Serum (14 day treatment) with active ingredients that easily absorbed by the skin. 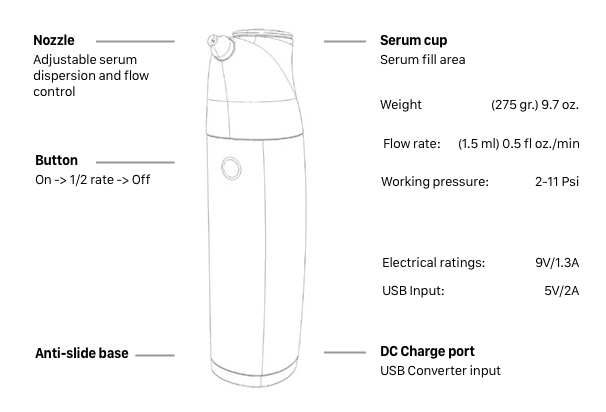 Revolutionary touch-free application optimizes efficient use of serum. Novel atomized spray eliminates bacterial spread and provides broad and even distribution. STEP 3. 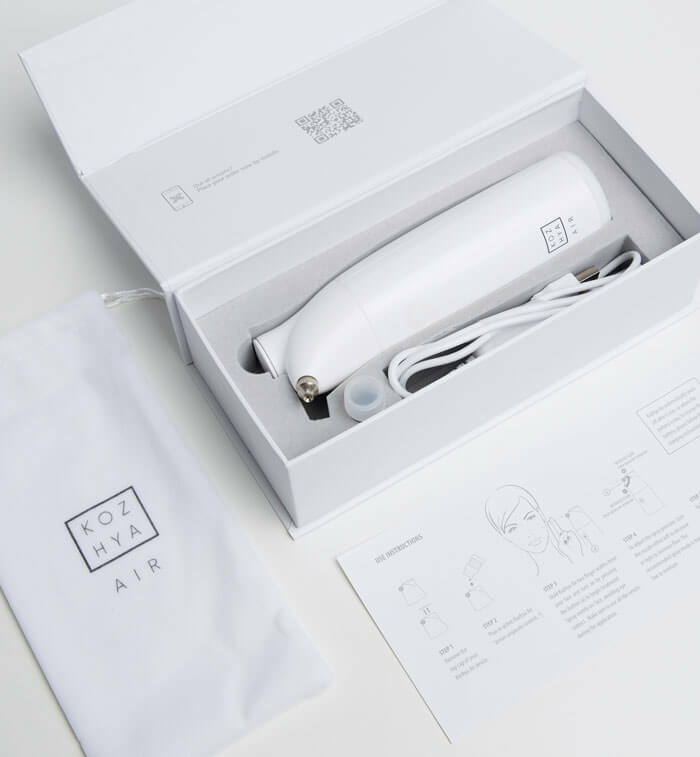 Hold Kozhya Air 1-2 inches from your face and turn on by pressing the button (a) to begin treatment. Spray evenly on face, avoiding eye contact. Make sure to use all the serum during the application. STEP 4. To adjust the spray pressure, turn the nozzle either left to decrease or right to increase flow. The recommended spray mode is from low to medium. STEP 5. (OPTIONAL) To keep your Kozhya Air functioning properly, be sure to follow the cleaning instructions after each use. 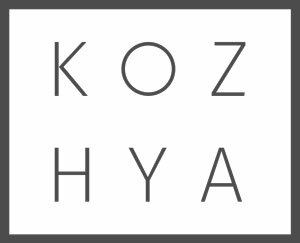 Kozhya Air automatically shuts off after 5 min, or when the battery is low. To charge the battery, please follow the charging instructions. *) Use only Kozhya products and accessories to ensure maximum quality of the product experience. 1. Insert the Kozhya Air DC adapter*) USB Type A cable into a USB power plug with at least 2000mA current rating (any recent mobile Samsung or Apple phone charger is rated for this capacity). 3. Let Kozhya Air charge to full capacity for at least 50 minutes. The blue led light (d) near button (a) will blink during charging. 4. When the led light is steady then charging is complete. You can now disconnect the plug and start using your KOZHYA AIR. STEP 1. Remove the cap from the top of your Kozhya Air and pour in about 0.5 fl ounce (2ml) of water. STEP 2. Return cap to close. STEP 3. Turn on your Kozhya Air and let it run until the water is gone. The sound and pressure will change once the water has run out. STEP 4. Open the top cap and dry with a cotton swab to ensure there is no moisture left. This will help to help avoid bacterial growth. b) Clean the nozzle with needle kit. Use a USB Adapter with at least 2000mA (2A) rated current, as the adapter capacity influences the charging cycles and is not adequate to the minimum requirements. Download Support instructions (PDF) here.